A much windier day than of late produced a handful of birds offshore but very little in the bushes. The best of the seawatching were a party of five Teal and two Sooty Shearwaters whilst three Arctic Skuas and singles of both Little and Mediterranean Gulls were feeding offshore. A juvenile Caspian Gull was also attracted to the fish and bread offerings at the fishing boats. Four Snipe, a Common Sandpiper and a Kingfisher were seen at the Long Pits. Four Sickle-bearing Bush Crickets were found in a search this afternoon. The Small Copper var. extensa was found again in the same area of mustard plants. 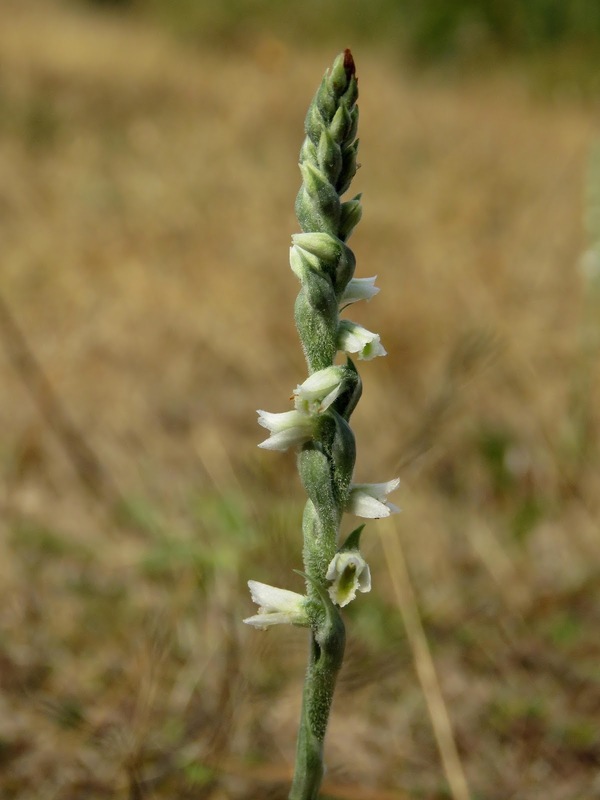 A total of 11 Autumn Lady's Tresses were found in flower in the trapping area.